Oil companies are decent barometers of which biofuels are on the upswing. Case in point: As the hype around algae fuel has increased over the past few years, BP, Exxon, and Shell have all made algae biofuel commitments. Now, as the hype is dying down, so is the oil industry’s interest. This week, Shell announced that it is exiting its final algae biofuel commitment. 2011 is Shell’s “year of choices” — a time when the company plans to cut down on its biofuel research paths from 10 technologies to five. Last week, Shell exited its investment in Choren, a biomass gasification business. This week, Shell will exit its shareholding in Cellana, a joint algae biofuel venture between Shell and HR Biopetroleum Algae, according to Renewable Energy World. There are still a number of oil companies working on algae biofuel, including BP, Exxon, Chevron, and Valero. It’s not surprising — Pike Research recently predicted that algae biofuel production could reach 61 million gallons a year and a market value of $1.3 billion over the next decade. But the biofuel industry has taken hits recently. Last week, the Rand Corporation released a report claiming that biofuels won’t be cheap enough or readily available enough in the next decade to be useful to the military. 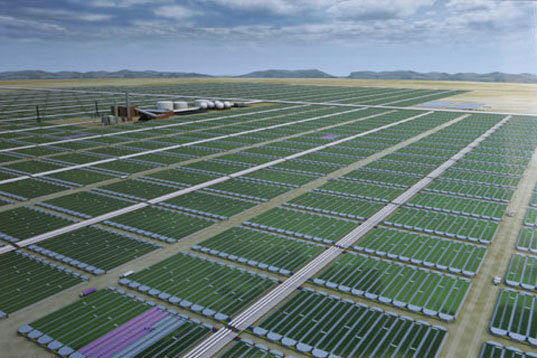 And according to Vinod Khosla, photosynthetic algae biofuels are still too cost-prohibitive to go mass market. We’ll be watching as Shell continues to whittle down its biofuel portfolio. Still in the running: Cosan’s sugar-cane ethanol business, Iogen’s straw-based ethanol, Codexis’ biomass-to-ethanol technology, Virent’s plant sugars-to-petrol process, and a number of research agreements.